What is the secret for making exquisite tagliatelle at home? Simple: selecting the right ingredients. For this reason, Eataly has selected the Semolina for Pasta from Selezione Casillo, made using the best Italian durum wheat. 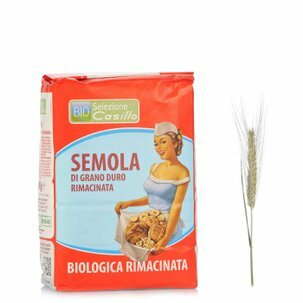 Unlike soft wheat, this ingredient has a larger grain, which is particularly suitable for preparing pasta. Rely on the best ingredients and you will obtain exceptional results.